This publication was created as an intellectual output of the Erasmus+ YOUNG EUROPEAN LEADERS project, aiming to develop vital skills for young people (communication, argumentation, public speaking, information management, foreign languages, and leadership) to support their active role in society and responsible leadership. 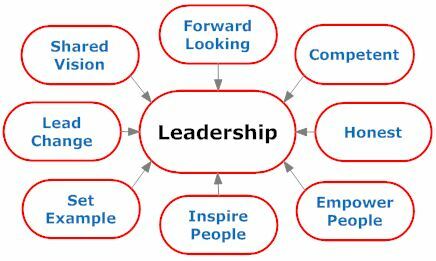 What is the importance of a quality leadership? As we live in society, where we share our potential and knowledge, it is natural for our species to form social groups. Inside the groups, we try to cooperate and help each other, using our individual potential, to be together stronger and more effective. The problem with this structure is that we all cannot decide on everything, rather we have to concentrate on our own part and task. This is the reason, why our social groups need to have a higher form of organization – leadership. Leaders are here to organize the whole group to be as effective and productive, as possible. This is the reason why quality leadership should really matter since it is the leaders who in the end help everyone to be a beneficial member of his/her society living and working in the right conditions. Good leaders can give the whole society everything needed – safety, peace, work, education, effective healthcare, good social interactions, and everything any social group needs.